I just received this wonderful new book by LARK books. Every time a new book about jewelry making comes to my hands I feel eager to read it as fast as possible !! Knowing about new techniques and mediums is always refreshing and this great book is not the exception. 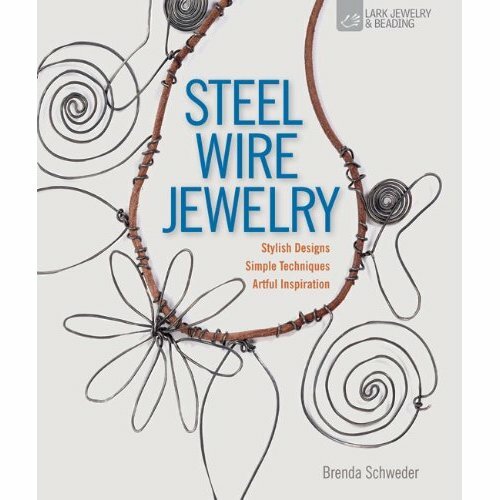 The book,Steel Wire Jewelry: Stylish Designs * Simple Techniques * Artful Inspiration by Brenda Schweder it is for sure an inspiring book. The foreword is written by another incredible artists, Keith Lo Bue, whose work I have admired for a long time. The gallery pictures from other artists are beautiful and creative. Some of the artists showing their work are Richard Salley, Deryn Mentock, Keith Lo Bue, Gary Schott, Robert Dancik and much more. The projects Brenda Schweder shows throughout the book are easy to follow and have great illustrations. You will definitely be inspired to make them all. In the book, Brenda has pieces inspired by the great sculptor and jeweler Alexander Calder. 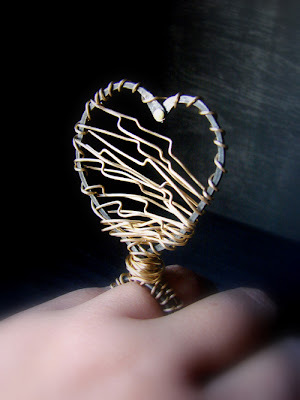 If you have not play with steel wire before, I assure you will love it! I will play with some steel wire and make something inspired by this wonderful book. When I have my pieces and pictures I will post them and give you a little surprise! After posting this review I had to get my hand on my steel wire and I just finished making this ring !! :D I know Donna !! I am sure you will like the book. 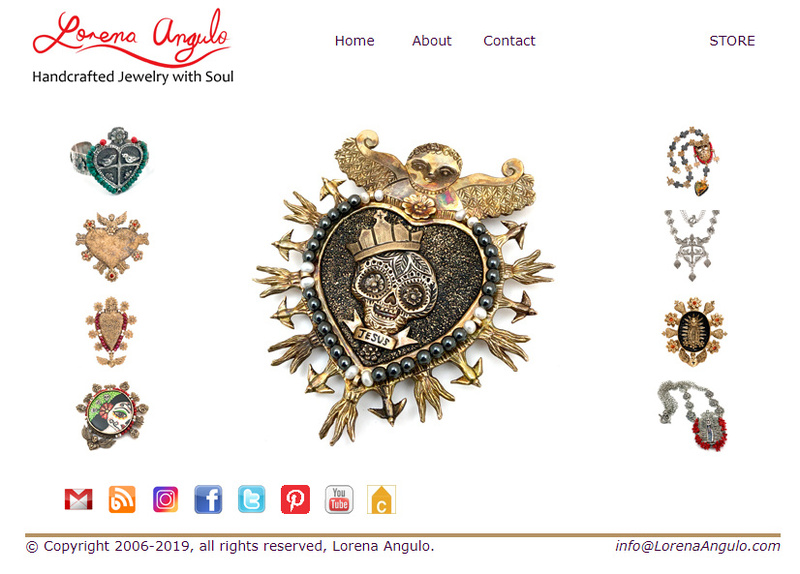 Lorena, I love playing with steel wire...I'm ordering today!!! Thank you for the heads up!! That ring is something I'd imagine the Queen of Hearts wearing -- love it! And I've been waiting to see this book. Steel is an interesting metal that's been ignored by a lot of people and I'd love to see what I can do with it beyond the few steel jump rings I have. You will love this book ! You are right, steel is a metal that has been ignored but with the prices of silver and gold I am sure we will see more work done with this incredible metal. Very tempting book! Love your ring too. Thank You Leslie ! I am sure you will have a lot of fun making the projects in the book ! Are you going to Adorn Me! ? 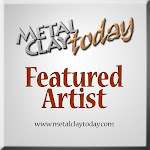 It's great that Robert Dancik has images here! I got to work with Robert on his DVD and he's amazing. I have a bunch of his faux bone on my shelf and this is incentive to pull it out and get playing! Yay!